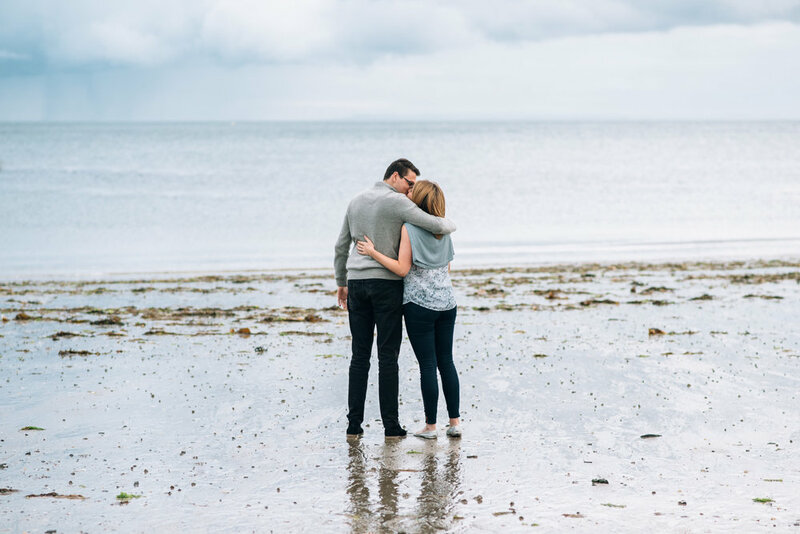 I flew over to Belfast to do this lovely couple's engagement shoot - it was actually my first time in Northern Ireland! It really reminded me of New Zealand - a little colder though! 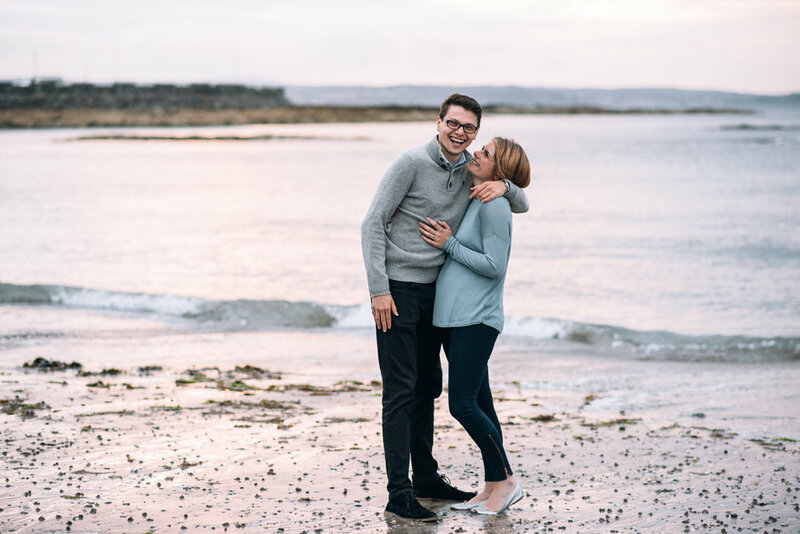 Their engagement shoot had two parts, we firstly went to a quiet beach in the evening near Bangor: the light was seriously incredible. Every few minutes it looked different, and it got pinker as the evening went on. Have a look at the photos below and you'll see what I mean! As the sea came in, James & Tara paddled in the shallow waves. I didn't envy them though, the water was freezing! The following day we went to a National Trust (wooop woop!) house and garden called Mount Stewart. It was huge, and had so many beautiful areas to walk around. What I have learnt about Northern Ireland is that the weather will not stay the same for more than half an hour! Thank goodness we had a few golf umbrellas with us...!